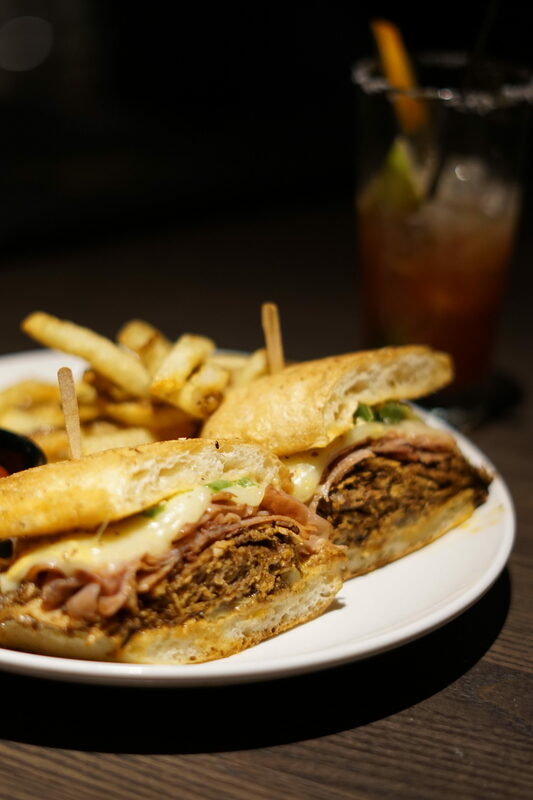 With all of the new restaurants arriving in the Las Colinas area, Thirsty Lion Gastropub & Grill is a much needed, refreshing addition to Toyota Music Factory’s lineup. It’s in a perfect spot to grab some pre-show grub being right by the Pavilion, and you can’t go wrong with anything on their menu. Everything is made from scratch (even the sauces!) and they have about 36 craft, import, and domestic beers on draft. 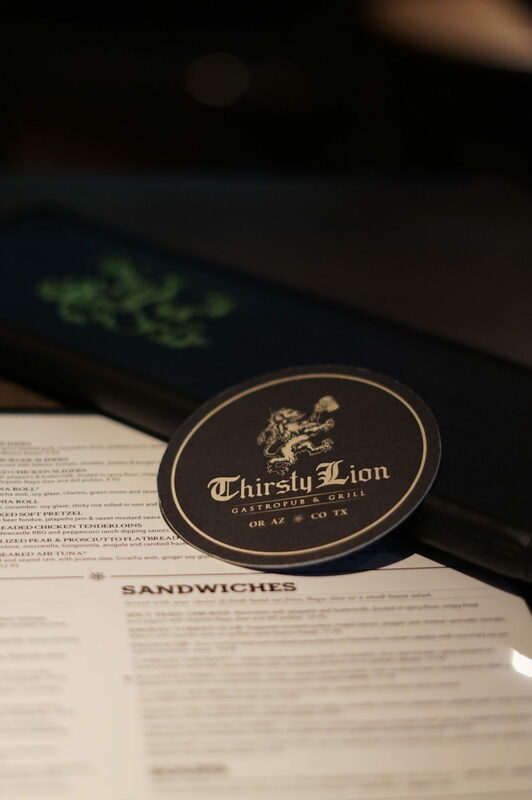 There’s such a great atmosphere at Thirsty Lion and it greets you the moment you walk in through those tall doors. The variety of seating also makes the place fit for a variety of occasions: date night, birthday party, office holiday party, or catching up with friends at the bar. I was highly impressed with their EXTENSIVE menu! 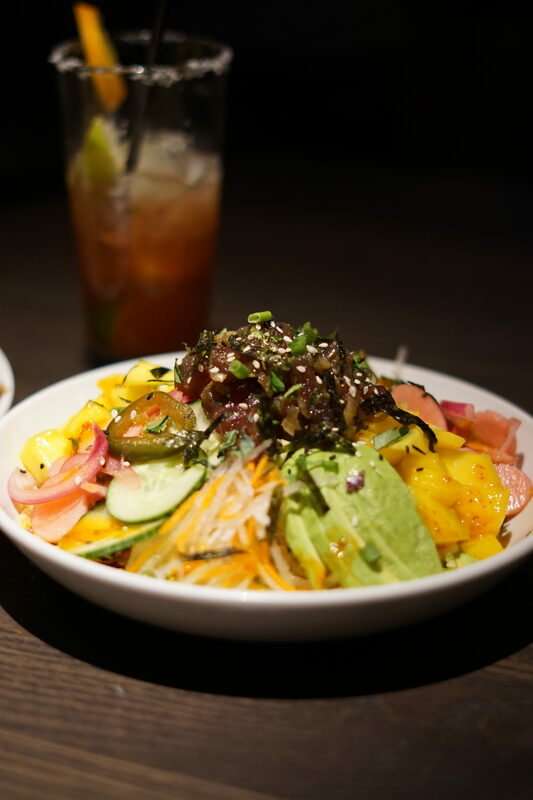 Their menu includes dishes and flavors from all around the world including Asian, European, and American to name a few. I was surprised to see an Ahi Poke Bowl in the menu since I had been craving it badly and I didn’t think it was a dish I’d find there! 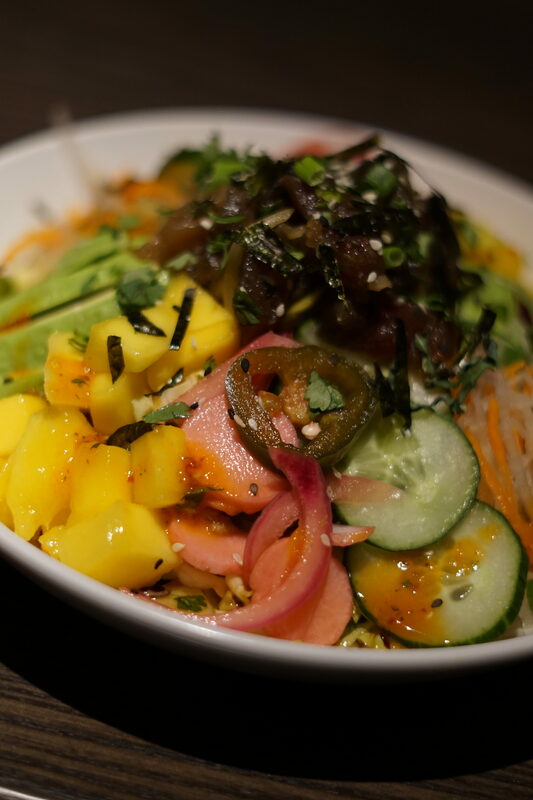 It was delicious and easily one of the most complex Ahi Poke Bowls I’ve ever had. 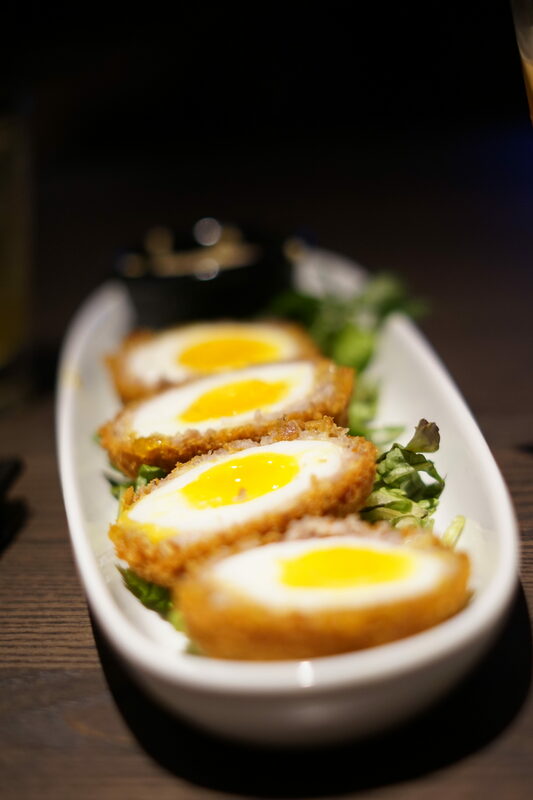 The Traditional Scotch Eggs were made perfectly! The yolk isn’t hard nor runny. It was the perfect consistency and a great appetizer to pair with cocktails or beers. 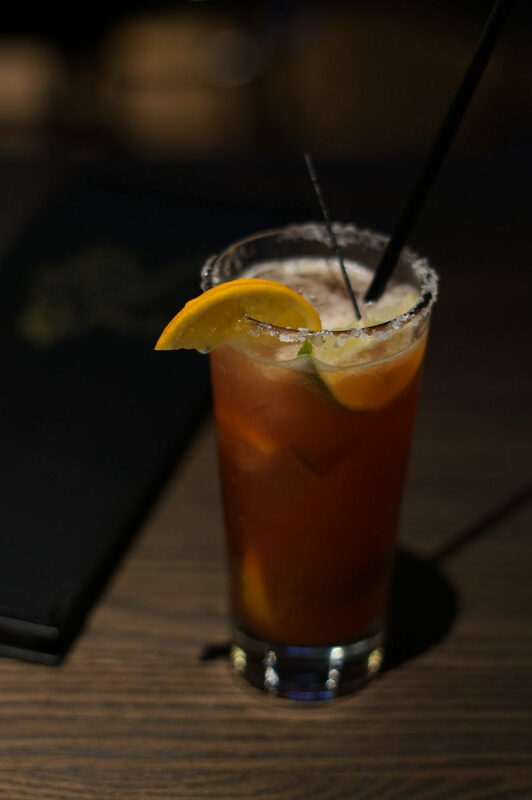 Speaking of cocktails, we tried the Blood Orange Margarita (El Jimador Tequila, blood orange purée, agave nectar, muddled orange, lime and sweet & sour) and the Devereaux (Bulleit Bourbon, St. Germain, lemon juice, sparkling wine and simple syrup). 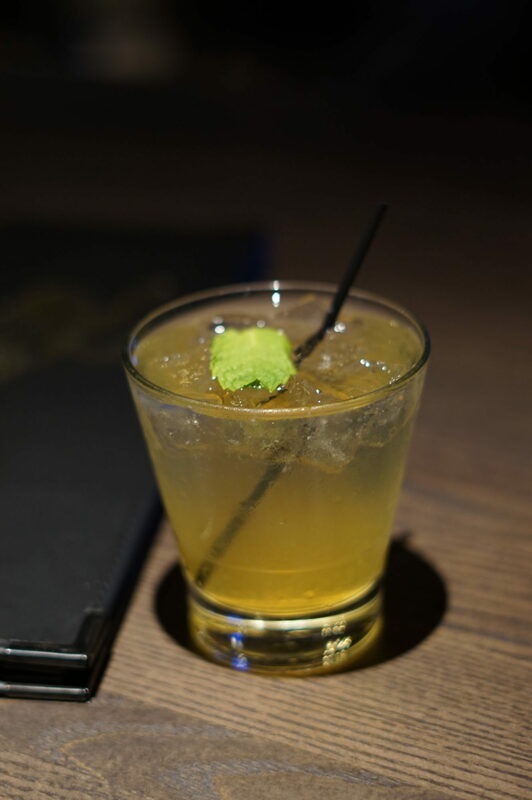 Their cocktail combinations are anything BUT basic! 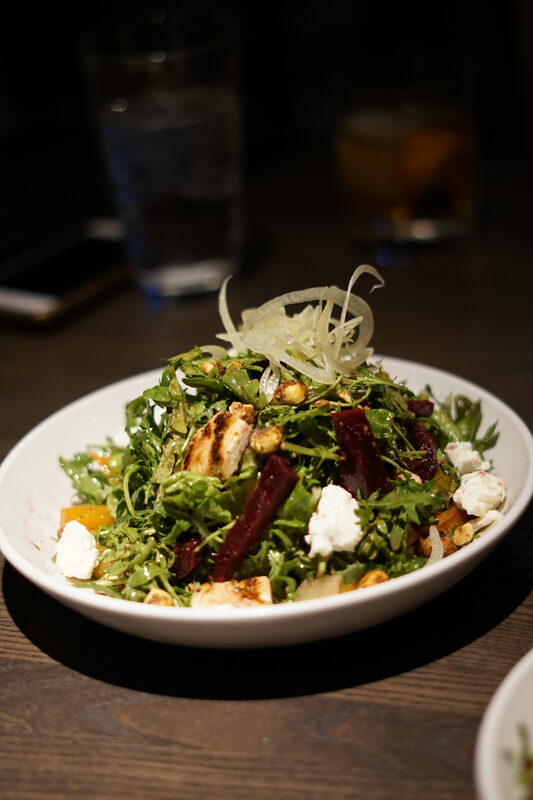 They also have more familiar dishes, like the Roasted Pork Cubano and Roasted Beet, Arugula, and Grilled Chicken Salad. 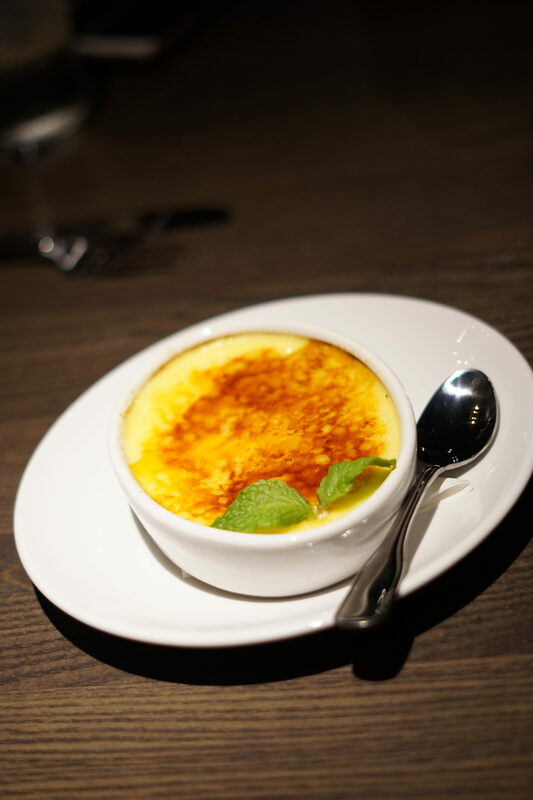 If you miraculously have room for dessert, you HAVE to try the delicious Crème Brûlée! 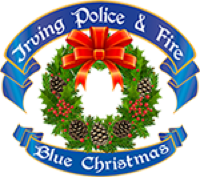 Thirsty Lion Gastropub and Grill is proud to be an official drop-off location for the Irving Police & Fire Blue Christmas toy and food drive. From December 1 – 18, you can bring an unwrapped toy or non-perishable food items to Thirsty Lion Gastropub & Grill. In addition, any individual who donates $20 or more will receive a free appetizer voucher from Thirsty Lion. 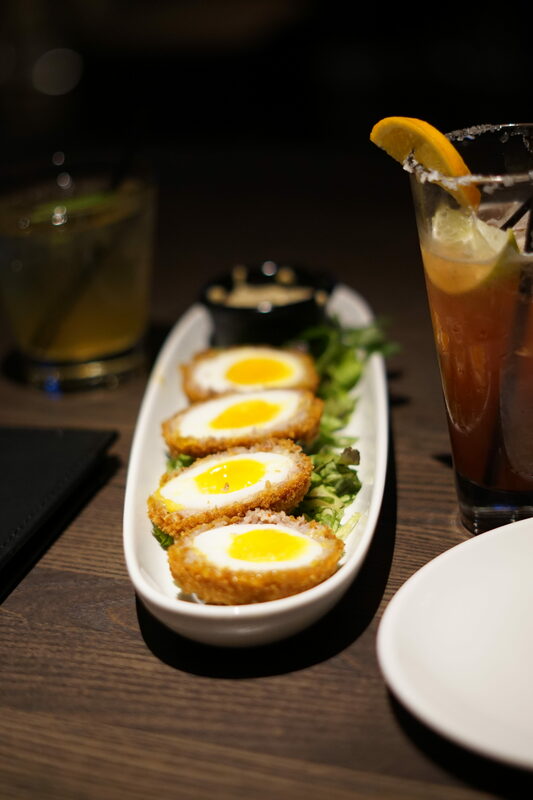 All in all, I was truly impressed with Thirsty Lion Gastropub & Grill’s range of flavors, variety of ingredients, attention to detail, and the overall atmosphere that Las Colinas had been previously lacking. I’m now adding it to my rotation! Have you tried any of the spots over at Toyota Music Factory yet? Disclaimer: While the menu sampling was complimentary, all opinions are my own.